The freezing of assets owned by SLM to cover as much as 6,262,574 Euros, plus legal interest. 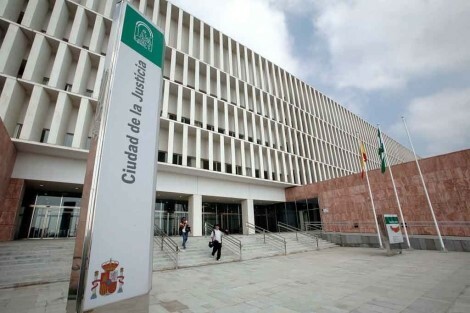 The cancellation of mortgages registered in favour of SLM on the properties owed by the claimants, by ordering the Land Registries of Alora, Mijas, Javea, San Roque, Estepona, Coin, Velez-Malaga and Marbella to remove same. The annotation of the Court ruling in the indicated land registries. This groundbreaking Equity Release ruling applies in full art. 1306 of the Civil Code (reserved for serious law breaches and violations of public order) and orders the defendant SLM to not only suffer losing the rights of a registered mortgage but, in addition, to pay the claimants the loan that was withheld to invest with Premier Group Isle of Man (now in liquidation). SLM does not have the right to appeal but can oppose this decision, within 5 days. The above decisions are adopted provisionally, pending the outcome of the appeal process. As with most rulings, claimants are by law entitled to enjoy the result of a favourable ruling on the understanding that, should the ruling be reversed on appeal, the successful appellant may request a restitution of the gains received. Currently, only 20% of rulings are overturned by Appeal Courts. International Property Finance Spain Limited (“IPFSL”), an unregulated corporate ramification of sinister N.M. Rothschild & Sons, is the next entity on the long list of Equity Release providers whose contracts have been declared null and void by Spanish Courts. The Credit Select Series 4 loan is a leveraged product classified as complex, for it is always used to invest in the financial markets. The loan is always linked to an investment that is pledged on behalf of the lender. This product was presented as a means to avoid the devastating effects of the Spanish Inheritance Tax, presented as a voracious levy, by mitigating or even neutralizing its consequences. The Credit Select Series 4 loan, sold through Hamiltons Financial Services, was offered by Rothschild -presenting itself as originating in a family of prestigious aristocratic lineage and noble descent- and meant the remedy for the very concerning issue of the Spanish Inheritance Tax. Hamiltons Financial Services intervened as intermediary and advisor, always on behalf of International Property Finance Spain Limited who in turn, operated as an Investment Services Company (ESI) on behalf of Rothschild. This conclusion is arrived at -despite not being any contract linking both companies- because whether contractually linked or being a free agent, the actions of Hamiltons fully benefited IPFSL, who also did not oppose such actions. The Credit Select Series 4 loan is declared null and void as a result of the customers not being properly informed of the risks, the product not being suitable on the basis of their age, financial expertise and objectives and more importantly, being misrepresented in respect to the confiscatory nature of the Spanish IHT and the “antidote” offered by this product in addition to the empty promise that the investment would generate enough to pay for the loan. Concluding, the Court orders the cancellation of the mortgage loan signed with the defendant IPFLS and orders the claimants to return the advance payment received. (acting for the claimants in this case was solicitor Salvador Martinez Echeverría). Steve Dewsnip, who once dedicated to his professional life to sign up over one hundred property-grabbing Rothschild Credit Select Series Mortgage Loans, is now being tried for bum-grabbing. Steve Dewsnip, one of the former directors of the collapsed Guernsey-based Providence Investments Funds, has appeared in court in London accused of sexual assault. The 49-year-old allegedly fondled a young waitress’s bottom in an exclusive Wembley Stadium suite after an England football match, Harrow crown court heard on Thursday reported The Evening Standard. Dewsnip, of Castel, Guernsey, pulled the woman towards him, put one arm around her and groped her as she collected glasses following the match in September last year, the jury was told. “He reached an arm out behind me, pulled me towards him and fondled my bum. “He pulled me right up next to him and continued with the conversation and did not acknowledge what was happening. “I felt unable to protest. I was working and we have to be polite and I tried not to make contact with him. It’s very hard to know how to react,” the alleged victim, a full-time student from London, told the jury. Dewsnip, the founder and ex-chairman of Guernsey FC, was arrested when he returned to the same suite for an England v France friendly international a month later. He pleaded not guilty and denied the allegation, adding that he had no recollection of touching anyone’s bottom, even accidentally. Dewsnip resigned from his position as director at Providence in early August just weeks before Guernsey Financial Services Commission (GFSC) ordered the stricken fund to be wound up, deeming it insolvent. In a further twist, Jersey’s financial services regulator shut down local IFA firm Lumiere Wealth,after an investigation into the sale of Providence Investment Funds to its clients. As a result, Lumiere Wealth’s founder and managing director, Christopher Byrne was arrested in October, charged with a £1m ($1.2m, €1.1m) fraud linked to the funds. In September, Providence Global, a majority owner of Lumiere, also came under fire for its links with Miami-based Providence Financial Investments for defrauding investors out of $64m. In the same month, a group of British expats named Dewsnip in a lawsuit against NM Rothschild over a Spanish property scheme which allowed them to take out mortgage worth up to 75% of the value of their homes. 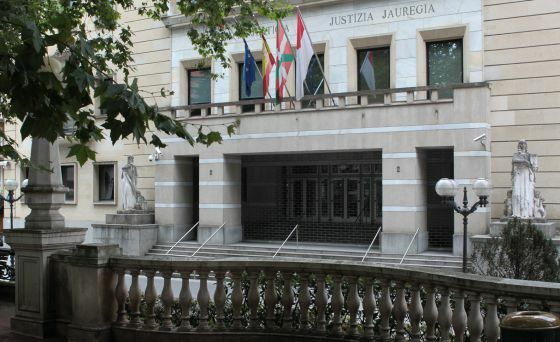 Claimants in the equity release CreditSelect 4-Series loan case against N.M. Rothschild & Sons and their respective lawyers held a case management hearing, or pre-trial hearing, at the Mercantile Courts in Malaga. The hearing lasted for a about 1 hour, inclusive of a short recess demanded by the Judge to consult case law on a specific point of law. The purpose of this meeting was to narrow the issues involved in the case, set deadlines for providing clarification documents, conducting discovery and listing the witnesses who will be attending the hearing. Wrong identification of the companies offering the advertising and the mortgage loans, which they claim are different (Rothschild Bank International and NM Rothschild & Sons Ltd.) The court rejected this as being a matter to be decided on passing judgement, given that she had read the merits of the case and she did not in principle agree with Rothschild’s lawyers. Claim filed out of time, which they claim had had to be filed at the very latest in 2010. This was also swiftly not attended by the Court on grounds that it would be dealt with on passing judgement. On the part of the claimants, lawyers submitted a list of proposed witnesses for the hearing that were all accepted, inclusive of the Baron David Rothschild. On the whole, the prevalent feeling was the Judge was sympathetic to the claimant’s arguments which is positive. The negative note relates to the date of the trial which lawyers for claimants find totally shocking yet, unfortunately, cannot be altered: 12th of November 2019. Claimants not part of this case are not bound by this incredibly protracted timeline and are able to file legal separate actions for miselling/misrepresentation in the -hopefully- quicker Courts of First Instance. On a different note, a crew from France2 television were present at the event and interviewed some of the victims. They were unsuccessful in getting any responses from Rothschild’s unfriendly lawyers who do not forgive the audacious ‘ambush’ on Mr. Steve Dewsnip who, in spite of being sought after a Criminal Court in Denia, had managed to stay ‘at large’ for years, even travelling freely to Spain to assist Rothschild in their cases against victims.